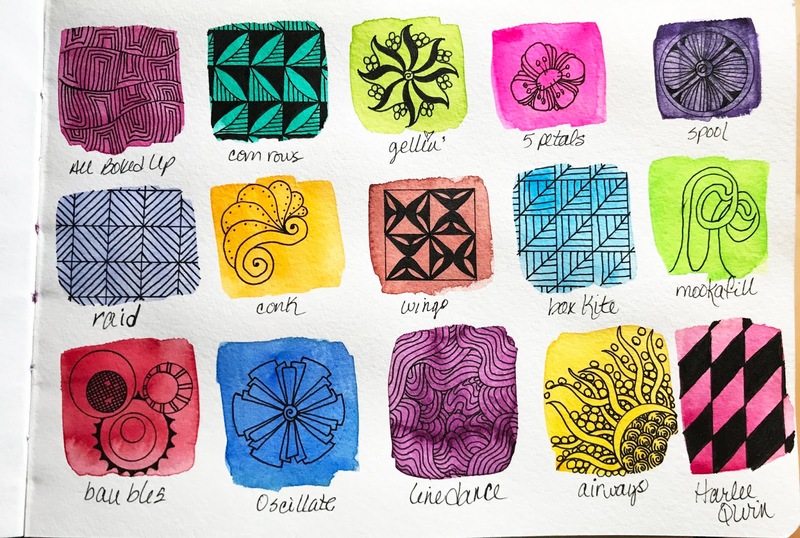 a tangle pattern sampler using color. and my newly put together watercolor kit. to be. Not so much. Isn’t that a cool little watercolor kit? then filled the half pans with color from my tubes. and made a cute little sampler. You can see an entire post about it here. Come join us at Tangle All Around. and we help each other learn. 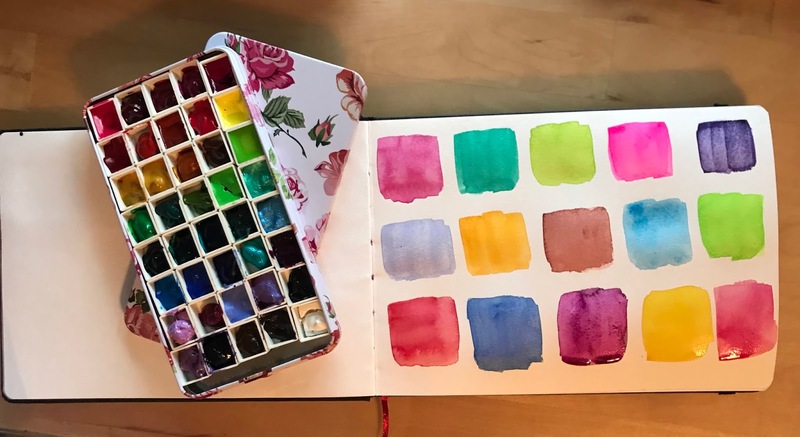 Brilliant idea for keeping a track of your own patterns – the watercolour palette looks rather fun & I can imagine terribly useful if you use all kinds of brands but want to carry only your favourites with you.